Rumours have plagued the city over the last few weeks of Nomos eateries stocking their back rooms with rat meat. Street Life sources indicate a number of possible disgruntled employees, or business owners are making use of this unsavoury option. 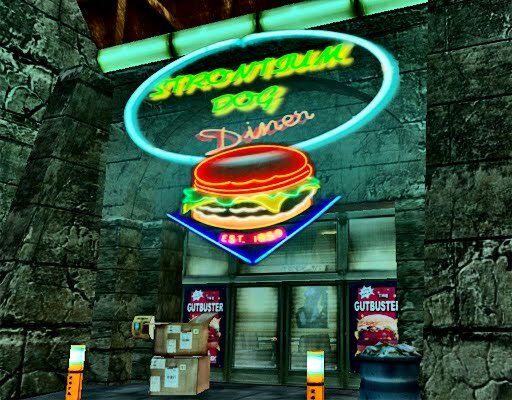 Street Life this morning sat down with Strontium Dog Diner manager Frederik Yalin for his thoughts on the city rat speculation. "Well, i heard this too," he says. "You mean inferior rat meat that is signed as cow or other stuff? Or ya mean a delicious original rat burger?" The original rat burger in which Mr Yalin is referring to is the special served up for certain clientele, who may have a taste for such rodents. "I try to make ALL my customers content and happy, so if someone would demand rat burger,why shouldn't i serve them? ", he quizzes. "On the other hand i can assure that i do everything to keep the high quality that the diner has. 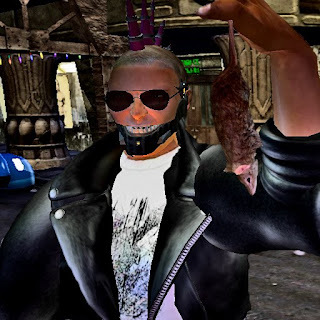 i am the last one who is interested in bad publicity"
Mr Yalin points out that whilst rat is a controversial ingredient on the menu of The Strontium, it's quality is assured to differ greatly to the variety that is rumoured to have contaminated other diners. "You get what you order: It's that easy. Of course we don't take ratz from here. i won't take a bite of a nomos sewer rat, ya knows?" he claims "everyone knows about the ratz here and diseases. i import them from outside. Ya knows." Mr Yalin continues to stress his concerns for allowing the infected rat meat to be sold over the counter. "My biz is close to the cop station. do you fink i would sit here when they would find out i feed rat to them?" he chuckles "they would saw me into small pieces"
In terms of trusting the employees of The Strontium and avoiding the potential of theses 'sewer rats' making it into their kitchen, Mr Yalin has hired business partner Miss Betsabe Enzo to ensure things are kept in line. "I even announced a co-tenant to keep an eye on the assistants," he states. "My companion. She is good in biz and marketing and very good in dealing with people. I couldn't imagine a better one." According to this interview, The Strontium Dog Diner comes up clean in terms of the rumoured rat issue. It's claim for 'legitimate' rat meat will require further investigation. Street Life however will continue to investigate other eateries in the coming weeks so you really know what you're eating.